Does Your Florida Lease Meet The State Requirements? For the landlord and the tenant, the rental agreement or lease that is signed by the parties sets out the contractual basis of the relationship and is full of crucial business details, such as how long the tenant can occupy the rental property; the amount of the rent that will be charged and the required written notice that must be sent either by the tenant or landlord at the end of the term of the lease prior to it expiring. Taken together with federal, state, and local landlord-tenant laws, the lease or rental agreement sets out the legal rules the landlord and tenant must follow. Landlord’s access to the rental property. *Not all of the requirements can be covered in this blog. Most problems arise when the landlord includes illegal clauses in the lease, such as a waiver of landlord’s responsibility to keep premises habitable, or when the landlord fails to make legally required disclosures. And even if it’s not legally required that you cover a particular issue in your lease it can certainly alleviate a multitude of problems down the road. The landlord can avoid all kinds of disputes by using an effective and legally sufficient lease and rental agreement that clearly delineates the responsibilities and rights of the parties. 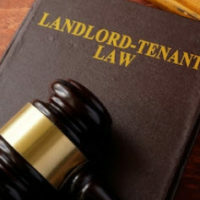 LANDLORD/TENANT LAW IS COMPLEX AND CANNOT BE COVERED COMPLETELY IN THIS BLOG. WE HIGHLY RECOMMEND THAT WHENEVER A SPECIFIC ISSUE ARISES, YOU CONSULT AN ATTORNEY.